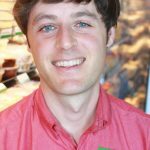 The Co-op’s investment campaign “Together We Grow” has raised $1.2 million as of Thursday October 26, a little more than a month since the fundraising launch. The Co-op’s goal is to raise $1.5 million by month’s-end to stay on track for building a new store. The Co-op has a lease at 23rd and Marine Drive in Astoria which includes construction of a new 12,000 square-foot building, about four times the size of the current store at 14th and Exchange. The co-op seeks to keep as many dollars local as possible to pay for this expansion. As a consumer-owned cooperative, the Co-op is selling preferred shares—an issuance of stock—to its Oregon-resident owners, yielding up to a 4% annual dividend. “This is such an amazing testament to one of the co-op principals; owner economic participation. The community is coming together to do something we couldn’t do as individuals. It feels really positive! We are going to reach our goal and put this money to work doing great things in the community,” Co-op General Manager Matt Stanley said. The average investment has been about $10,000. Volunteers have been mailing letters and making phone calls to potential investors. The Co-op has also been contacting people about the opportunity via email and social media. “We’ve been pleasantly surprised at the range of investors we’ve seen, from Co-op founders to those who are totally new to the Co-op. They see this as a good opportunity not only in terms of the return but also investing in community,” Co-op Marketing Director Zetty Nemlowill said. Double-digit growth in the last five years led the Co-op to seek more space and amenities including a dedicated receiving area and ample parking. The new store will have a larger deli, fresh meat & seafood counter, and wider selection of organic and local produce. The Co-op, formerly known as the Community Store, has been in Astoria since 1974. The number of Co-op owners recently topped 4000. About 80% of the Co-op’s shoppers are owners, but it is not a requirement to shop. The Co-op welcomes all shoppers and is hoping to expand its shopper-base even more with the new store. Expansion and investment information is available at www.astoria.coop, in the store, and by contacting our General Manager directly at 503-791-5692 or matt@astoria.coop. Everything in our bulk aisle–food, coffee, soap, etc.–will be 25% on October 14-15, 2017! Your co-op wants to expose more shoppers to the savings, convenience and variety that bulk shopping has to offer, in conjunction with National Bulk Foods Week (October 14-20). Portland State University Food Industry Leadership Center studied the benefits of buying natural and organic food in bulk. Researchers found the foods on average cost 89% less than packaged goods. 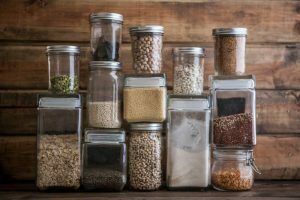 They also found bulk foods reduce packaging going into landfills and the ability to purchase from the bins just the quantity needed, cuts down on food waste. As a retailer we want to do our part by providing you with quality bulk items everyday and offering you this great weekend deal so you can save green while going green with zero waste shopping! We’re embarking on a truly grassroots effort to build co-op equity so we can make our dream store a reality and keep as much of the financing for the project as local as possible. Now, three weeks into our owner investment campaign Together We Grow we’re almost halfway to raising enough investments to build you a bigger store! The goal of raising at least $1.5 million in owner investments will support our much-needed expansion. Now, Astoria Co-op Grocery is asking you, if you haven’t yet invested, to step up and bring the campaign the rest of the way home by October 31st. This is a rare opportunity to see your dollars at work growing a local business that brings tremendous benefit to our community. We’ve revealed the exterior plans for the new store. We are digging into the design of the interior. Visual images make the new store tangible. Picture yourself choosing a parking space out of the 50 available! Together We Grow is a capital campaign based on the offering of preferred shares to Astoria Co-op owners that are Oregon residents. Preferred shares, although not a term most of us are familiar with, are quite straight forward. First, each co-op owner invests in their common share with the co-op. Most of us are paying off the $200 common share in $25 increments. This equity has and will continue to be instrumental in growing our business and making all the things that make the co-op special accessible to more and more community members. Common shares are non-interest bearing and have no par value. The Co-op’s Series A Preferred Shares are an opportunity for co-op owners to invest in our expansion project and earn an annual dividend. Each preferred share has a par value of $100 and the Co-op is issuing (through a registration with the State of Oregon) 25,000 preferred shares. The minimum investment involves the purchase of 25 shares, or $2,500. These owners will receive an annual dividend of 3%. Owners who purchase 100 or more shares ($10,000 or more) will receive an annual dividend of 4%. That’s the nuts and bolts of how this works. Co-op owners receive a reasonable return and the co-op strengthens its balance sheet enough to make the project feasible. Our minimum goal to move the project forward is $1.5 million, or the sale of 15,000 shares. But we’ll need your help to make it happen. Why sell all the shares? Because it means the co-op can rely less on external financing to complete the project. More dollars stay local. More local co-op owners get to shop and benefit from the very thing that they invested in. We don’t get many opportunities to put our money to work right in our very own community. This is your chance. I am investing. Others in my extended family are investing. Many other owners have already committed their investments. Join us in our cooperative effort to expand this community treasure! Contact me at matt@astoria.coop or on my cell at 503-791-5692. Together we can hit our goal and move forward to growing a bigger and better store together!